Think what you may, but autumn fruiting raspberries fill me with happiness. Truly it doesn’t take much to make me happy I know! But as the nights close in and temperatures drop, those little jewels burst into splendour and provide welcome colour in the garden, not to mention their immense flavour. I will be picking and freezing these raspberries regularly for the next month or so. Throughout the winter they will be used to make raspberry jam or I’ll pile them on top of a stack of pancakes on a rainy Sunday morning. 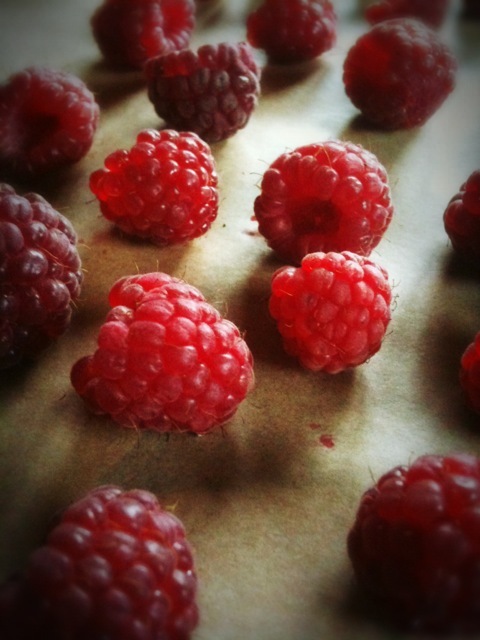 In November, raspberries will be added to gin and vodka and when they have flavoured the alcohol, I will make Boozy Raspberry Bites instead of discarding the now well-used fruit. 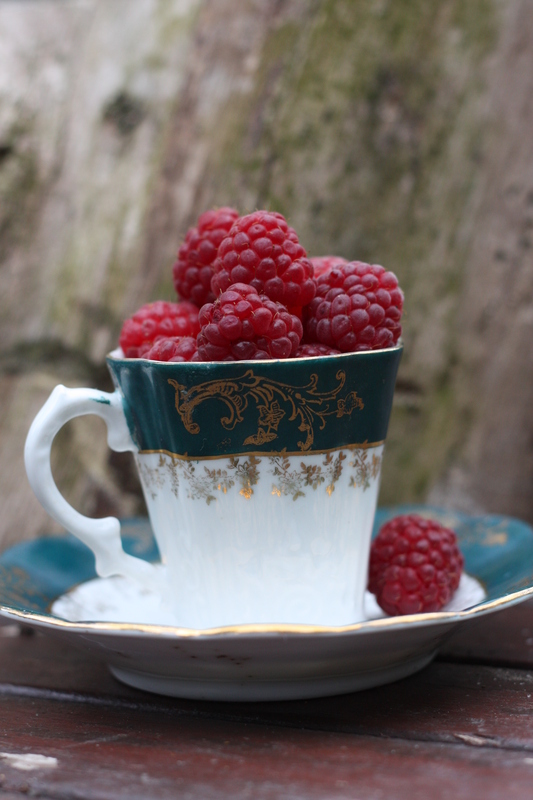 If you have autumn fruiting raspberries, be sure to pick and freeze them regularly. 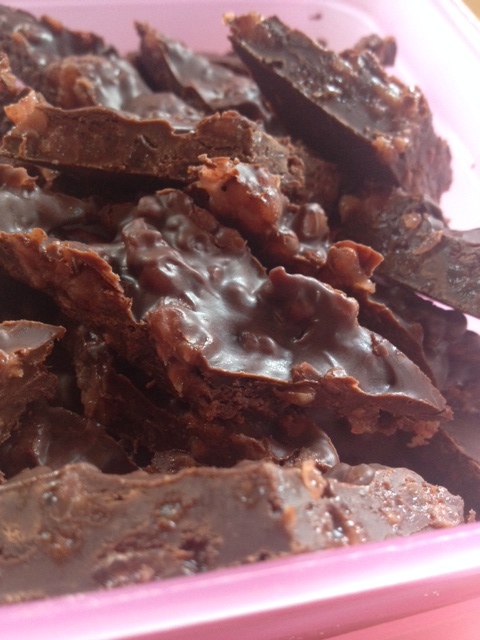 Freeze them on a tray before bagging them up and freeze in smalll amounts. 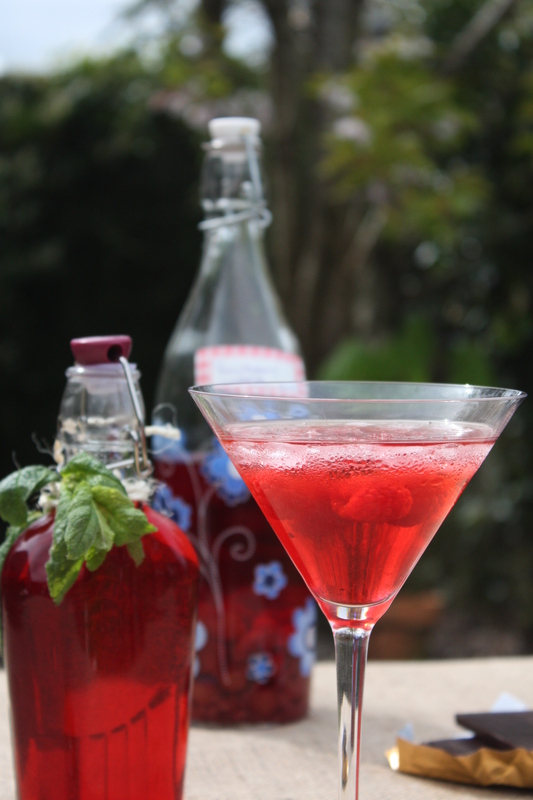 Then pull some out in November and make some raspberry gin or vodka..
Place the gin, raspberries and sugar in the jar, seal and shake. Put a label on the back of the jar with the date and the amount of each ingredient used. This is a good reference if you want to adjust the sweetness etc. Shake once a day for about a week or so until the sugar has dissolved. Place in your larder/cupboard for about six weeks before drinking. You can taste it after four weeks and add more sugar if you like. Remember if you add more sugar to make a note of it on the label. So whenever you are planning to plant some fruit bushes, make sure to include a few autumn fruiting raspberries.